Spring is here! Finally! The days are getting longer and the ground is getting warmer which means it’s time to plant! 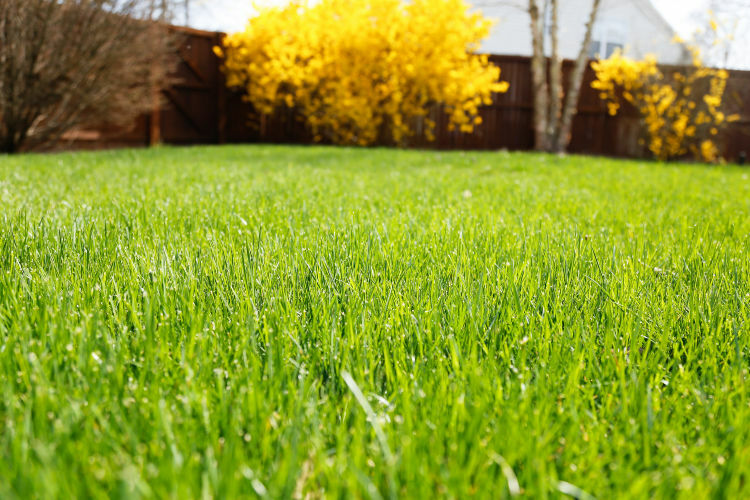 Spring is the ideal time to prepare home lawns for summer use. This is particularly true in regions of the United States where winter recovery is often necessary to get your lawn back in tip-top shape. Whether you’re repairing an existing lawn or planting your first backyard oasis, the following tips will set you on the right track. 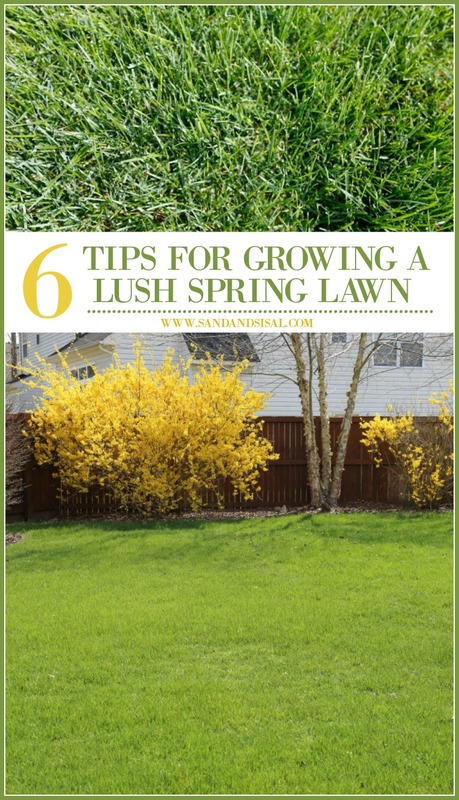 I want to share with you my favorite 6 tips for growing a lush spring lawn that will make your house the envy of all the neighbors! Spring is the ideal time to reseed thin or bare patches in existing lawns or to establish new lawn spaces. Seeding now to repair winter-damaged areas will allow the grass to grow in healthy and strong before summer, when the lawn will likely experience the heaviest use. The earlier in the year that you seed, the more time the turf will have for root development before summer. This is important as longer roots allow the plant to pull water from deeper in the soil when warmer temperatures hit. Planting early also allows the grass to get established before summer annual weeds start popping up, enabling your lawn to fend off pesky weeds naturally. Be familiar with your growing zone. Knowing your growing zone and knowing when to plant and seed is paramount in successful results. Our family is in that teeny-tiny eastern corner of Virginia, zone 8a. Depending upon how cold our winter was, we normally do spring seeding in March or early April. Choosing the right seed for your region and lawn setting is important to establishing a lush green lawn. 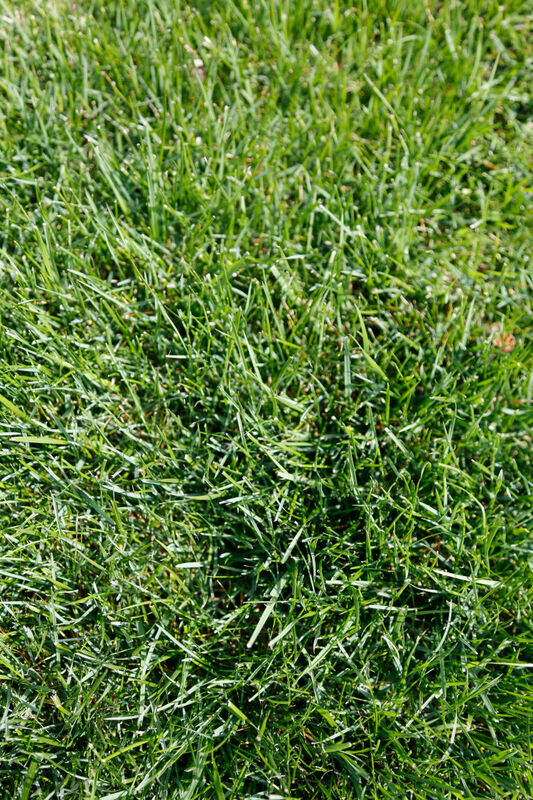 If you irrigate your lawn during the summer and you have a sunny lot, look for a seed blend with a high concentration of perennial ryegrass. Irrigated but shady lawns will do better with fine fescue. If you do not plan to irrigate, use tall fescue. 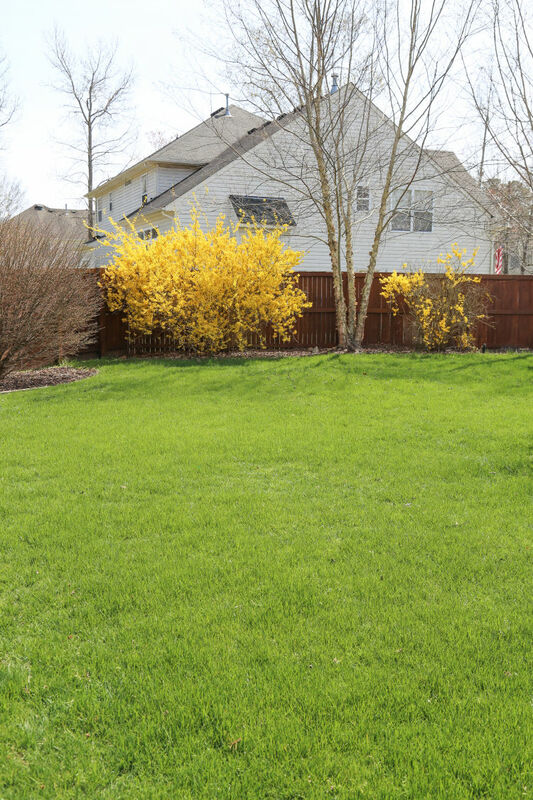 Step 1: Rake – Rake your lawn to remove dead grass, old leaves and any other debris that accumulated over the winter. 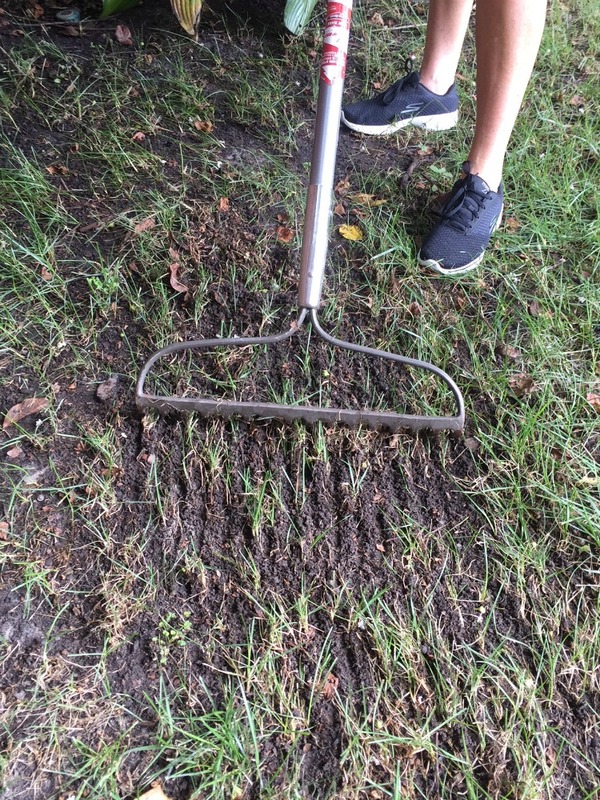 Raking enables you to see any bare or worn areas that need attention, and it also increases soil contact when seeding and allows new young grass to grow more easily. Step 2: Aerate – Lawns that are heavily trafficked or buried under large piles of snow for a significant amount of time can suffer from soil compaction. You can hire a professional to aerate your lawn for you, or you can rent a core aerator, whose hollow tines will pull small plugs of soil out of the ground, allowing increased movement of water, nutrients and oxygen into the soil. Aeration can also increase the soil contact with seeds and promote new growth. Don’t be alarmed when you have your yard aerated. The yard will look like a few flocks of geese made your yard their bathroom. Once you understand the importance of aeration, then you will be happy with the results of your efforts. Step 3: Seed – Spring is the ideal time to reseed thin or bare patches in existing lawns or to establish new lawn spaces. Seeding now to repair winter-damaged areas will allow the grass to grow in healthy and strong before summer, when the lawn will likely experience the heaviest use. Talk to a turf specialist at a garden store or your local university extension office to help you select the right seed for your area. The specialist will be able to identify a seed that is similar to your existing lawn, or suggest an alternative choice if you’ve experienced recurring problems. After you plant the new seed, water lightly but regularly to make sure the reseeded areas stay damp until the new grass grows in. 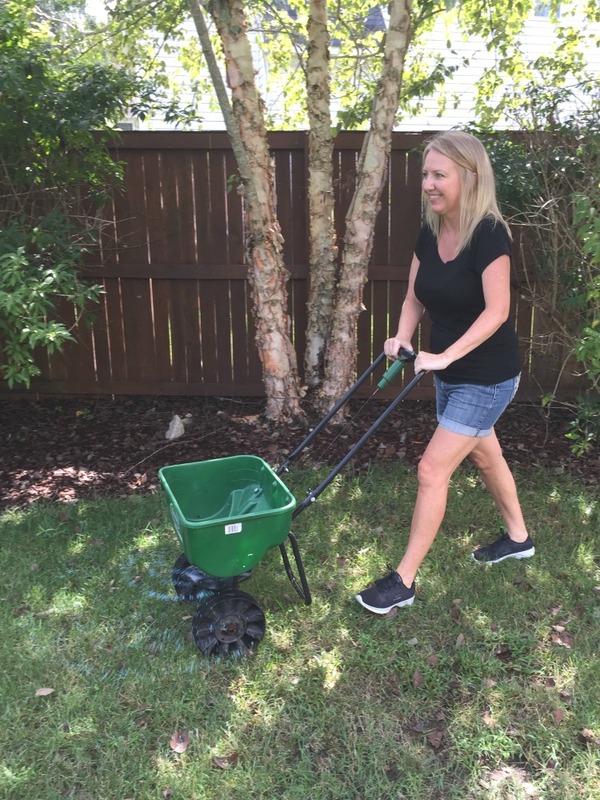 Step 4: Fertilize – Most cool-season grasses respond well to three primary nutrients- nitrogen, phosphorus and potassium- but newly planted grass and established lawns need these ingredients in different proportions. If you are reseeding, you may want to apply a starter fertilizer at the time of planting and then follow up with a standard fertilizer four-eight weeks after germination. Consult a local turf expert to confirm that the fertilizer is appropriate for your region. 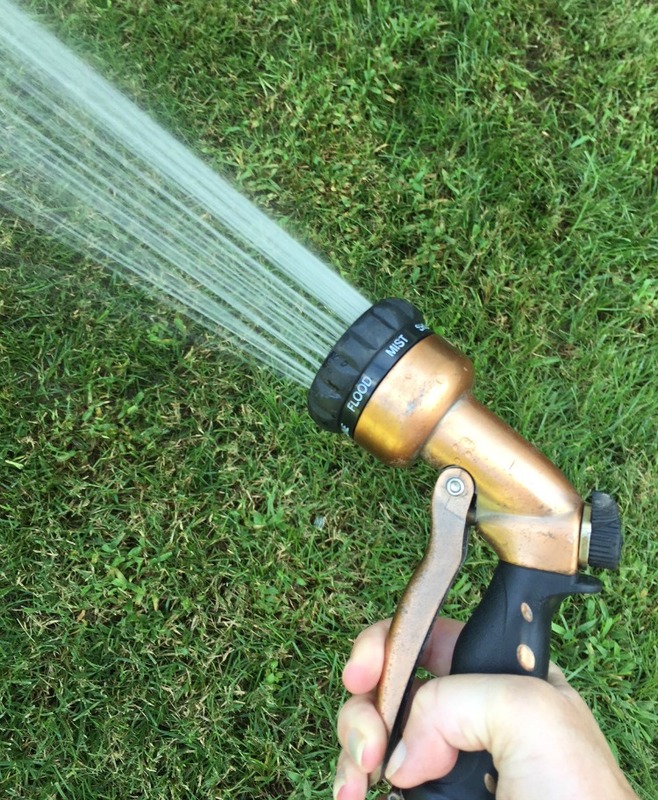 Be sure to water immediately after applying starter or standard fertilizer. Step 5: Water – Water lightly but regularly to keep the reseeded areas damp during establishment. Irrigating at least once a day for two to three weeks or until the turf grass has uniformly germinated usually best practice. The key is keeping the grass seed moist at all times until it germinates. Step 6: Mowing and Lawn Mower Care – Make sure your lawn mower is tuned up and ready for the busy mowing season. Look into having the lawn mower blades either professionally sharpened or replace the blade with a new one each year. Having a sharp blade will create a cleaner cut on the grass blades and give the yard healthier appearance. Also, wait until the new grass has reached 3 to 3.5 inches in height before the first mowing. Now that you have created such a gorgeous yard, be sure to take the time to enjoy it! Here are some fun ideas to get full use out of your yard. Surprise the family with an impromptu lunch or dinner picnic on the lawn. Host an Easter egg hunt. Invite friends and family over for a Memorial Day grill out. This post has been brought to you in partnership with Grass Seed USA. 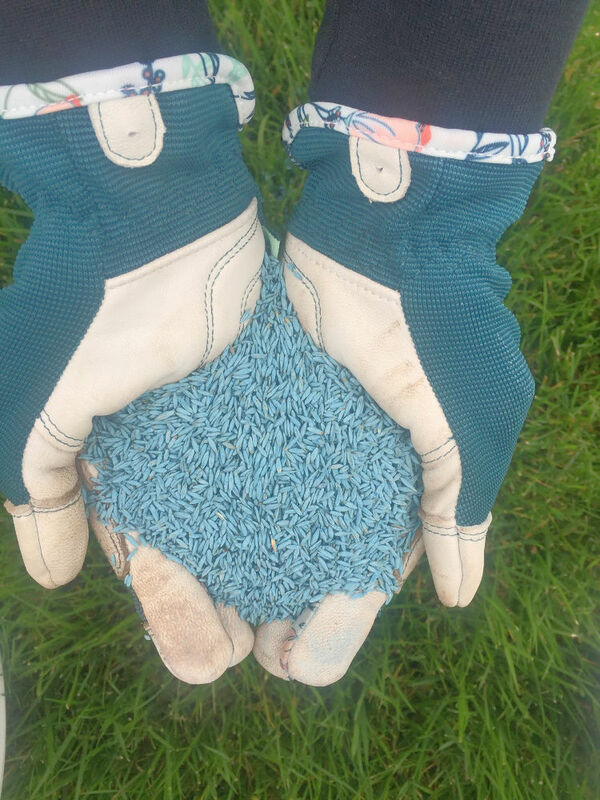 Grass Seed USA is a national coalition of grass seed farmers and academic turf specialists with a wealth of experience in studying, growing and harvesting grass and grass seed. 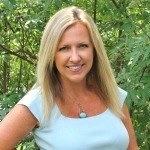 The coalition seeks to inform and educate residential and commercial customers about the benefits of grass and best practices for responsibly growing and maintaining healthy turf. For more information, visit www.weseedamerica.com and follow @WeSeedAmerica on Facebook, Twitter and Pinterest.